Over the past 4 years we “The Forget Never Team” have carried out research on the men of Wickford Cricket Club who lost their lives in the Great War. We have held two cricket matches to raise money for a memorial to be replaced in the Cricket Pavilion . This year we are researching those men who returned from the war, some physically injured and others who may have been mentally scarred by all they had endured. Some were able to play again after the war. Here is a list of the men who were paid up members of Wickford Cricket Club before the war and those that joined again in 1919/1920. If any of the families are still living in the area, do you have a photo of your relative and can you let us know how they fared after the war? We will be holding another Cricket Match in Wickford on 17th August and would like to make a display to commemorate the returners. 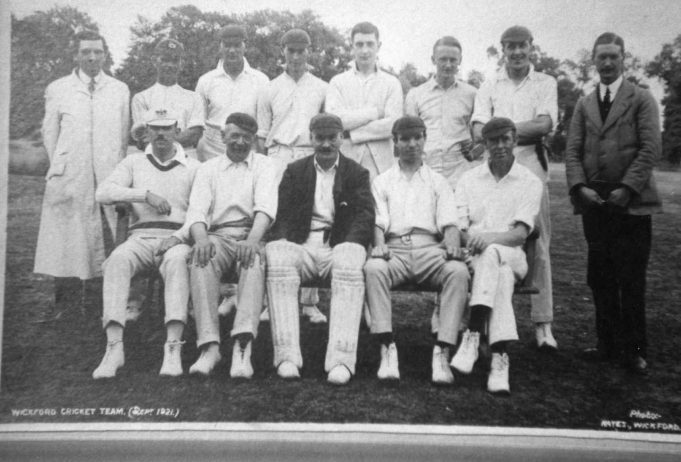 The photo is of 1921 cricket team, are any of these men in the photo? 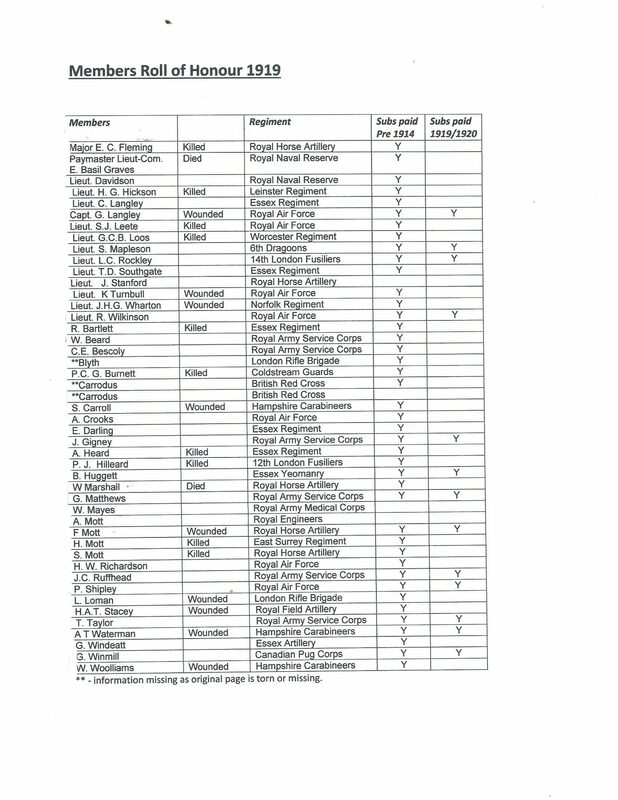 Does anyone know if the J GIGNEY on the members list is in the photo?, also any of the MOTTS also listed? JAMES GIGNEY married MABEL HELEN MOTT who I think is a sister to Donald. I have just noticed that the photo/postcard was produced by Mayes of Wickford, so one of these men could well be W Mayes.